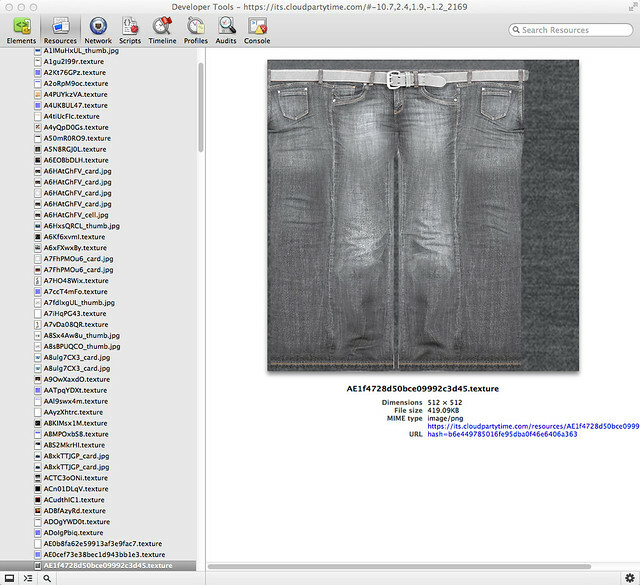 Botgirl's Digital Playground: Texture Theft Vulnerability in Cloud Party? Texture Theft Vulnerability in Cloud Party? Of course textures can be downloaded in Cloud Party. And 3D models. And in every single world its actually the same. Any attempt at blocking that is just for the show. This is the Internet. As long as it reaches you, it can be diverted. It is not a vilnerability, it's part of the nature of the net. The only way to avoid it is to avoid transmitting it - sending a video rendered by the server, for instance. Web designers have long learned this. This is a flaw of OpenGL way beyond the control of Cloud Party and it doesn't stop at textures... the vulnerability includes all assets including geometry and media. The entire OpenGL approach is prone to content theft on a scale that would put CopyBot to shame. OpenSim is actually safer by comparison.